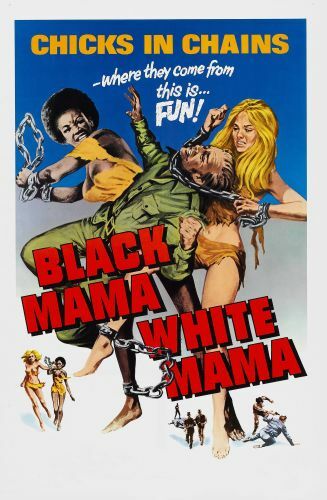 American International Pictures, Four Associates Ltd.
Two female prisoners, one black and one white attempt to escape a women's reformatory in this violent exploitation film that is a cheap knock- off of The Defiant Ones. The black woman is in for prostitution while her blonde counterpart was involved with a radical group. They escape after lesbian guards make passes at them. Though chained together, the two manage to make their way through the Filipino jungle to a camp filled with revolutionaries and drug smugglers. There more action ensues as the crooks engage in a climactic battle with a crooked cop.